Make the most of your CAD software investment. 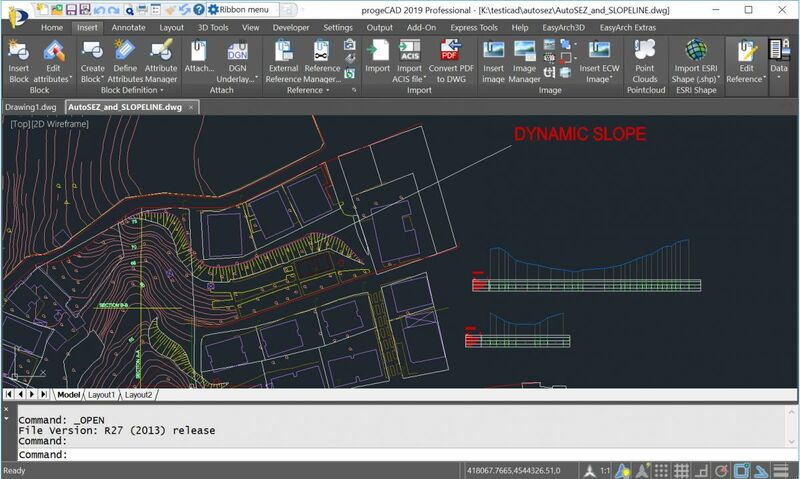 Beside being an all-embracing 2D/3D CAD tool with all the fundamental drawing functionality, progeCAD offers professionals a large number of advanced features and exclusive tools which are most likely to become indispensable in your CAD design arsenal. 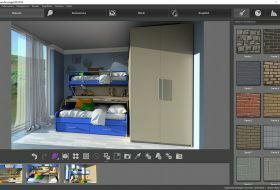 Any CAD User will appreciate to keep at hand and at no extra cost such tools as the PDF to DWG converter, the block management module, the vectorizer, PDF and 3D PDF export/import, multiple formats converters, the photorealistic render as well as some specific ones like topographic 3D Civil features and an architectural plugin. All this in one software package! 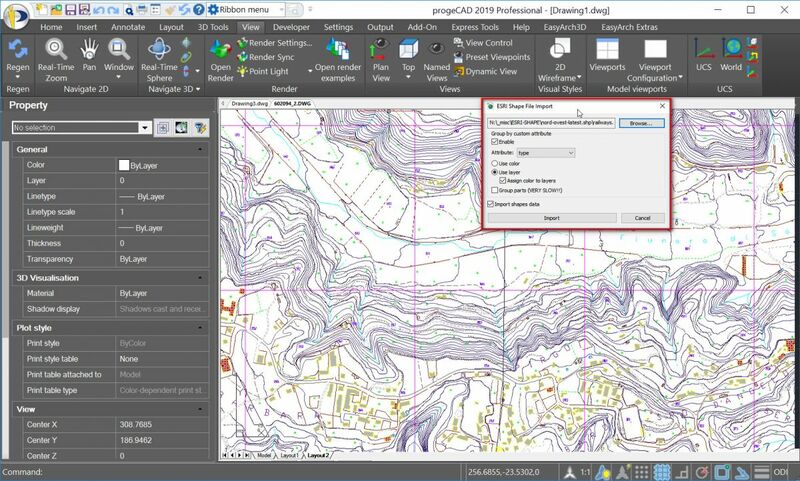 To explore progeCAD advanced tools, consult the list below. STEP, IGES Import (and Export) STEP geometries and transform them into easily editable DWG entities. 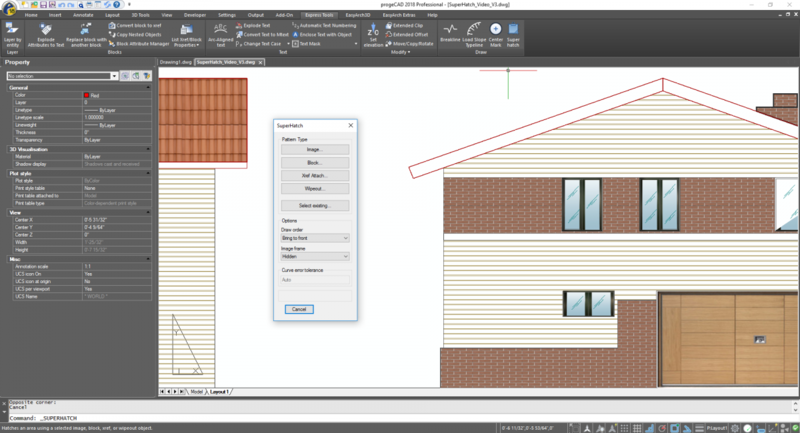 ESRI-SHAPE SHP Import SHAPE (ESRI) files with geometry and its attributes into DWG drawings. 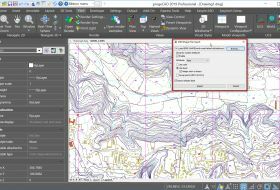 Specific commands allow geometry insertion, colors and layers management, data dynamic control. IFC to insert BIM models into DWG. IFC is a global standard for data exchange in the building industries. Building industry professionals can use IFC to share data regardless of what software application they use to get their job done. 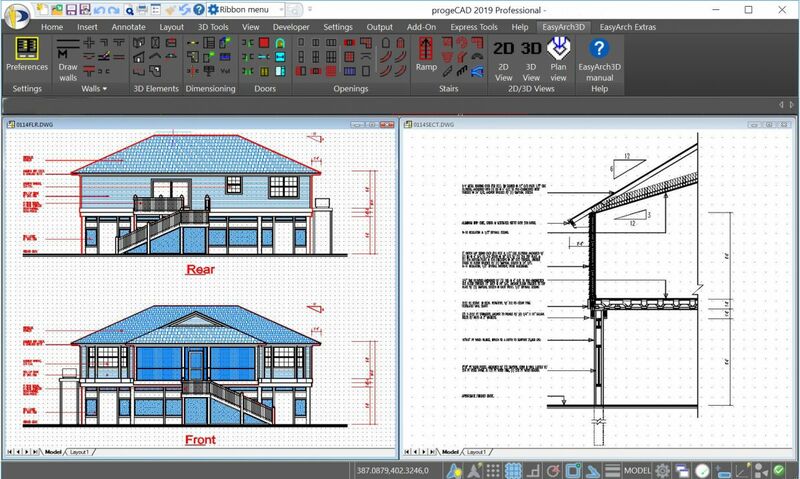 progeCAD allows inserting BIM models into your DWG as an underlay or as part of the DWG. The advanced iCADLib module for blocks management ensures the best organization and management of your Symbol Libraries. More than 22.000 ready-to-use 2D/3D Blocks: Construction, Architectural, ANSI-ISO and DIN-ISO Mechanics, ANSI and IEC Electrical, Electronic, Steel Profiles, Furniture, Kitchen. iCADLib integrates Traceparts web portal and progeCAD's Cadenas web portal for easy guided usage of more than 100 million of blocks. Directly guided block insertion from the web into your drawings just in a snap. TraceParts and Cadenas are leading digital engineering 3D content companies offering cutting-edge business solutions through powerful web based products and services. The Traceparts web portal and progeCAD's Cadenas web portal are freely available to progeCAD users worldwide with hundreds of supplier catalogs and 100 million CAD models and product datasheets suitable for design, purchasing, manufacturing or maintenance processes. Fast triangulation of point clouds Creation of TIN surfaces from points within point cloud scan files or land survey collected points. AUTOSEZ command can be applied to these surfaces. 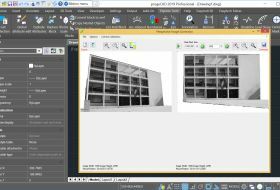 The automated building tool for architects designed to increase productivity in house and interior design and remodeling. This is an ideal product for architects, engineers and for all those designers who need to view their own drawings in a photorealistic visualization. Fleshing out a drawing on progeCAD can give it additional impact during presentations, and the addition of color gradients to surfaces to produce a more "realistic" appearance is a great way to do so. 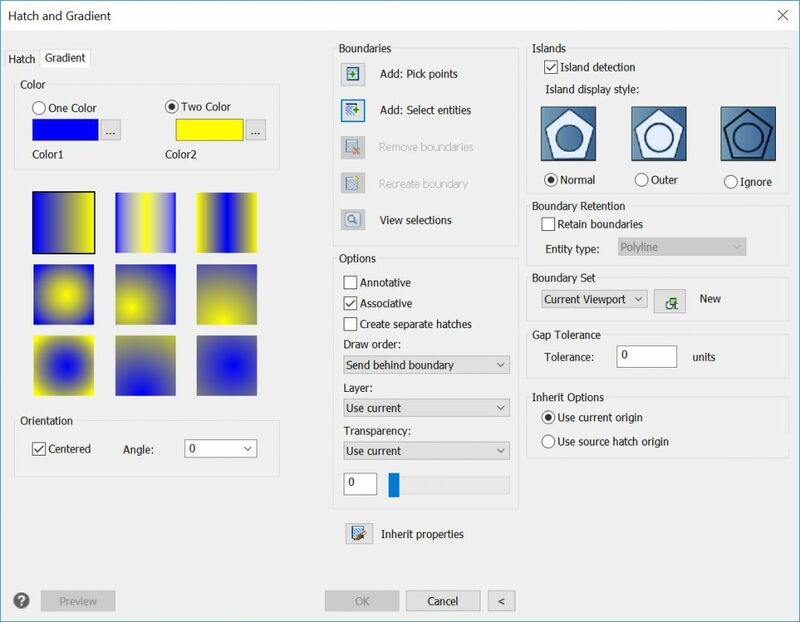 Gradients can be displayed and created through a user-friendly interface. Improved Hatch Form. 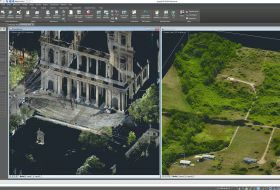 A point cloud is a collection of points acquired using 3D laser scanners or other special technologies to create 3D representations of existing structures. 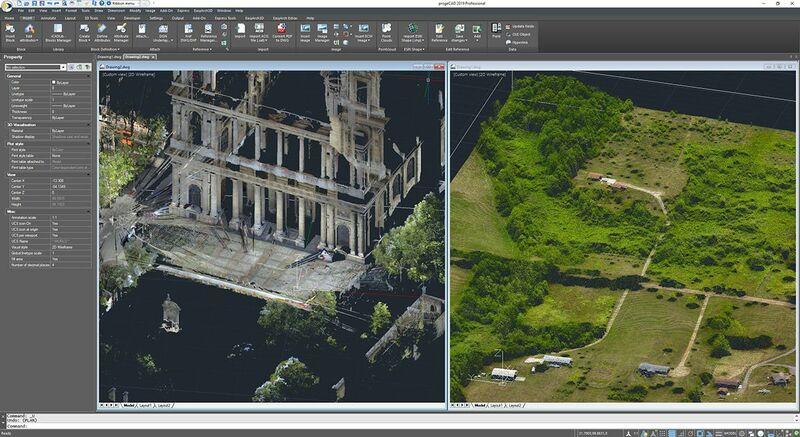 Point cloud files help the design process by providing real-world context where you can recreate the referenced objects. Once a point cloud is inserted to a drawing, you can use it as a guideline for the drawing, change its visualization, or apply a color to distinguish different features. Create the ADOBE PDF standard with your dynamic 3D content inside. 3D PDF allows to communicate to all the globe and share your data with anyone in an easy and innovative way. 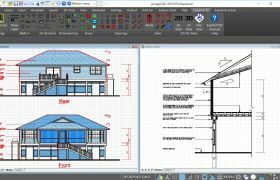 Smart collaboration with your draftsmen and designers as well as users who do not deal with CAD software. 3D PDF can be visualized with the free Adobe® Reader®/Acrobat Reader DC software. Create hatch patterns from images, blocks, external references ( xrefs ) and wipeouts. Superhatch is an express tools function that lets you quickly hatch with your own pattern, no programming or creation of pat files needed. 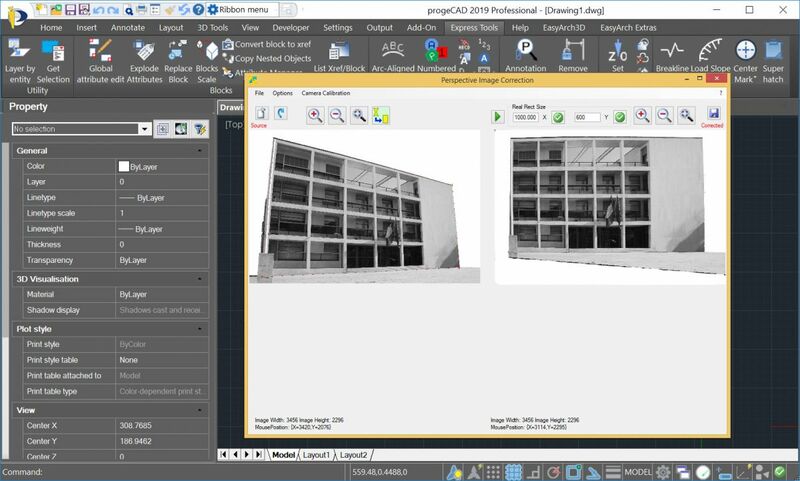 progeCAD's hatch with image capability is a part of the Superhatch function. Reads and writes 3D solid objects with ACIS libraries (the same as AutoCAD®). ACIS solids are available thanks to an agreement signed with Spatial, the supplier of technology for solid modeling to the most important CAD software in the world. 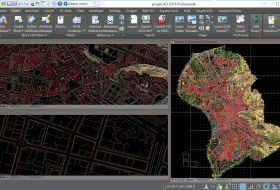 progeCAD Professional has implemented a complete management of ACIS solids, which can now be viewed, printed, created and edited. Any exchange of projects with CAD, which include ACIS Solids, is therefore much easier! Creation of complex three-dimensional shapes using solid models becomes a way simpler procedure. BetterWMF solves problems related to copying and pasting drawings into other software packages like Microsoft Word. If you have ever tried to insert a CAD picture into for example a Microsoft Office document you may have noticed several problems: To start with, you will get unwanted borders. 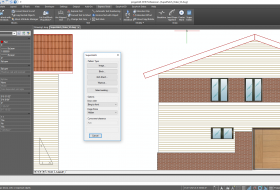 The resulting size of a picture is the same as the graphics area of the CAD window at the time of creation, rather than matching the selected objects. This usually means that pictures copied from progeCAD to other Windows applications will have a large blank area to the top or right. Also when you print the document with the picture you will notice that all lines will become equally (very) thin. Finally, you will have discovered that it is very difficult to size your picture to an accurate scale. For each of these problems individually, clumsy workarounds are possible, with varying degrees of success. The unique real solution is BetterWMF. 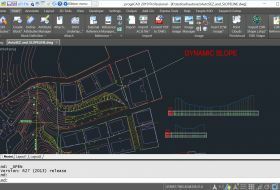 progeCAD is fully compatible with the BetterWMF version for AutoCAD LT but providing all the features available with the version for AutoCAD Full. 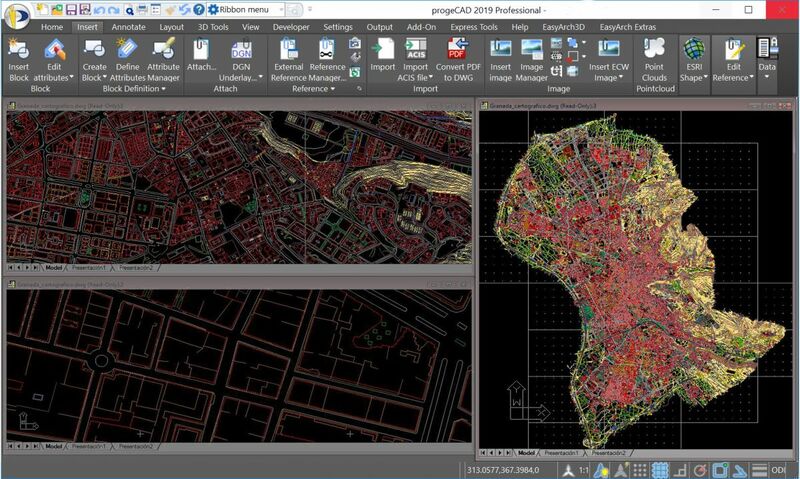 progeCAD Express Tools is a set of tools mainly grouped under the Express Tools menu which extend progeCAD functionality enabling the user to increase productivity through easy, fast and efficient performance of complex multistep CAD operations. 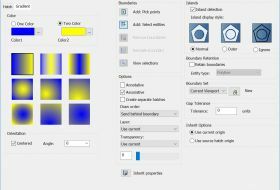 Insert and manipulate Raster images with only one click of the mouse! With the powerful raster editing and raster-to-vector conversion tools, progeCAD helps you to easily clean up, edit, enhance, and maintain scanned drawings and plans. Use a wide range of image data, embed images, insert and export images and use a polygonal mask boundary to display image subsets. Image transformation functionality and georeferenced image display. The dynamic UCS feature automatically creates a temporary XY plane to draw on. 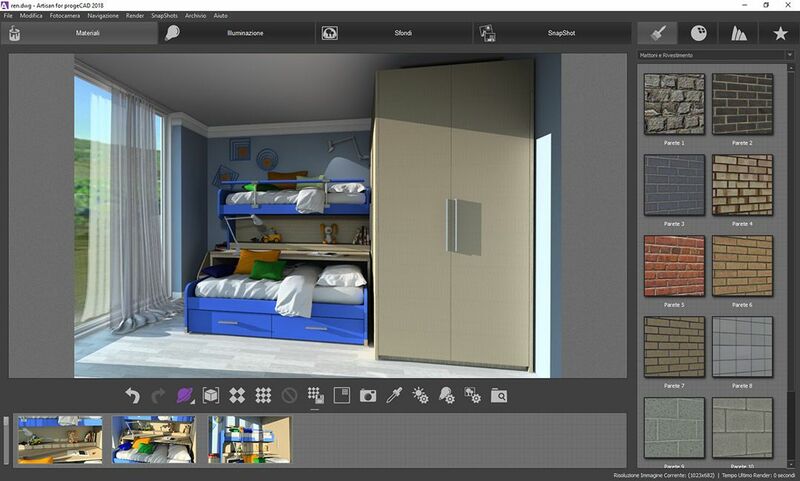 The dynamic UCS feature dramatically speeds up drawing in3D environment. The multiline command allows to draw multiple parallel lines with a single command. This feature creates simultaneously perfectly parallel lines and the lines are treated as one entity allowing easier editing. The Multiline support greatly speeds up and simplifies drawing and improves the AutoCAD® compatibility. Multilnes Styles supported. Automatically creates bubbles with sequence numbers or letters. You can delete fit points of a spline, add fit points for greater accuracy, or move fit points to alter the shape of a spline. You can open or close a spline and edit the spline start and end tangents. The spline direction is reversible. You can also change the tolerance of a spline. Tolerance refers to how closely the spline fits the set of fit points you specify. The lower the tolerance, the more closely the spline fits the points. The loft command is similar to the extrude command but much more versatile. Instead of extruding a single shape, the loft command allows you to extrude several shapes and make one continuous object. Creates a 2D representation of a 3D solid object based on the current view of the solid object. An entire drawing can be flattened with a single operation.